Whether you’re planning a quick weekend getaway, or a three-week vacation, understanding how to better organize your next trip can save you a lot of time and stress. If you’re unsure of how many suitcases you’ll need and how much of each item is really necessary, don’t worry, we’ve got you covered. Then, we will help you navigate how to get a new passport in time for your next trip. Spoiler: the key is that you don’t have to tackle the confusing passport process alone. There are many reputable passport agencies who can help. At the end of this guide, you’ll be packing and traveling like a professional in no time! So, get your suitcases ready, grab your passport checklist and keep reading. We understand that sometimes the packing process can be overwhelming prior to your trip. By learning the secrets from travel experts, you’ll be able to focus more on the exciting elements of your next trip, like finding fun excursions and local events. Explore our following guide to stress-free, super simple packing. How Much of Each Item is Necessary? Shoes- no more than two pairs. Consider bringing one comfortable pair, such as sneakers, if you’ll be doing a lot of walking. The second pair should be something versatile that you can easily dress up or down, such as a pair of flats or fancier sandals for women and nicer boots for men. Shirts and pants- try to limit yourself to one set of pajamas, two pairs of pants and two shirts total. By laying out your entire outfits for each day, you’ll feel less compelled to overpack several shirts that probably won’t get worn. Jewelry- Consider bringing one or two pairs of earrings and just one necklace. If your trip is only two days, this should give you enough options. To save room in your suitcase, only bring travel-sized toiletries, such as shampoo, conditioner, face wash, and face lotions. If you’ll be swimming, be sure to pack large plastic Ziploc bags to ensure your wet swimwear won’t dampen your other clothing items when you repack. Roll, don’t fold your clothes to save even more space in your bag! One large suitcase and one medium-sized suitcase. Shoes- try to stick to no more than three pairs of shoes. By thinking of the types of activities you’ll be doing, this should be easy to achieve. Consider packing one pair for walking or hiking, another for casual daytime activities, and one more dressy pair for evening events. Shirts and pants- Pick out a specific outfit for each day of your trip. By committing to pre-planned outfits, you won’t have to stress about what to wear once you get to your destination, as it will already be decided for you. Consider factors such as the forecasted weather and how you’ll be spending each day as you select each day’s outfit. Jewelry- Depending on the type of trip you’re going on, how casual or formal your resort is, and how you prefer to accessorize your outfits, the jewelry you pack may vary. Generally, packing three to five pairs of earrings and three necklaces will give you lots of options. Keep in mind that most hotels or home rentals will have a blow-dryer on hand for you. It’s worth double checking this before taking up valuable space in your suitcase for these items. Consider skipping bringing an extensive health kit with you, especially if you aren’t hiking or spending a lot of time in nature. Remember that you can most likely purchase these items at your destination. If you’re checking your bags at the airport, consider bringing a few essential items in your carry-on bag. For example, bringing an extra outfit with you is a great idea, in case you’re stranded without your bag for a day or two. It’s also a smart idea to pack a photocopy of your travel itinerary, driver’s license and new passport information in case any of these items get lost along the way. This will vary depending on the length of your trip. If you plan each outfit in advance and you’re conscious not to overpack, you should be able to make do with one to two large suitcases for every two weeks you’re traveling. Consider also packing two medium-sized carry-on bags, as well. Shoes- if you’re traveling for more than two or three weeks, you may need to pack several different pairs of shoes, for multiple occasions. Keep in mind that it may be easier to purchase less expensive footwear, such as sandals for example, while on vacation if your suitcase doesn’t allow you to fit them. 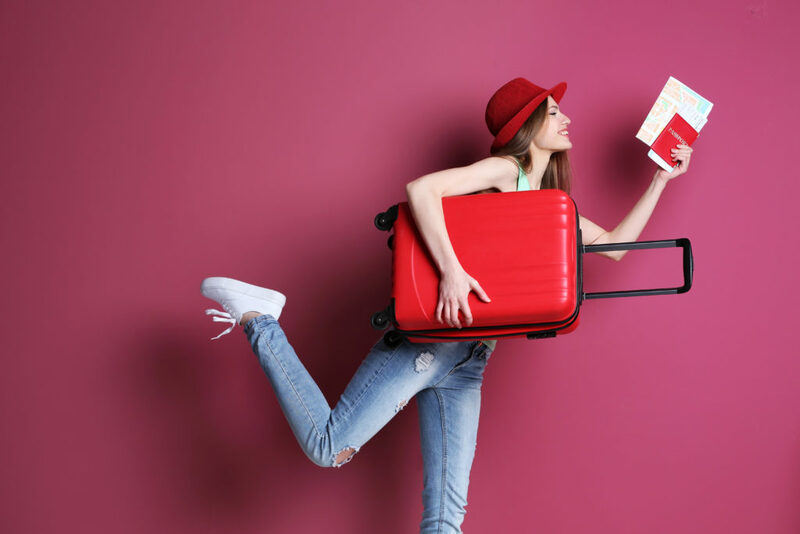 If your trip requires bulkier shoes, such as snow boots, it may make sense to mail some of your shoes ahead of time to your vacation rental to save precious suitcase space. Shirts and pants- Along with packing specific outfits for each day of your trip, consider including items in your suitcase that you’re able to wear multiple days. For example, packing staple items like white and black shirts, and blue jeans, allows you to re-wear the same outfit more than once inconspicuously. Also, consider using a laundry service while on vacation to cut back on the number of outfits you’ll need to bring with you. Jewelry- Again, generally speaking, packing three to five pairs of earrings and three necklaces will give you lots of options during your travels. Consider packing your more expensive jewelry in plastic bags and keeping them in your carry-on as you travel. This will help protect you in the event your bags are lost at the airport. If you’re traveling somewhere that will allow you to buy toiletries and bathroom essentials at a local store while on vacation, that’s generally much easier than packing a month’s worth of products in your suitcase. Don’t forget to plan several weeks ahead for certain travel requirements for longer trips, like a new passport, or a passport renewal. Then, as you’re packing, be sure to pack a photocopy of these important documents in both your suitcase and your carry-on. Consider getting a suitcase with a TSA-approved lock on it. This will allow you to feel safe when you leave all of your belongings in your hotel room or house rental while on vacation. Now that you’ve mastered properly packing for your next trip, it’s time to review how to navigate the new passport process. Learning how to pack like a pro is only one piece of the traveling equation. If you’re traveling internationally, you’ll want to ensure your passport is ready to go long before your trip. This may mean applying for a new passport or renewing your current one. The best way to ensure this is a stress-free and smooth process is by enlisting the help of a reputable passport agency. An agency can answer all your passport questions, from helping you check all the boxes on your passport renewal checklist to assisting you with a new passport or with the child passport process. Review the three easy steps below to get started. Step 1: A common question travelers have is “how long does it take to get a passport?” First, if you’re on a time crunch and your trip is fast approaching, don’t fret. Many passport agencies offer expedited passport services for your new passport, to help you through each step of the process. Some agencies, such as The Passport Office, even offer same day services at their locations. Step 2: Now that you’re aware of how quickly you’re able to get your new passport, it’s time to choose a reputable, experienced passport agency to help you. This part is important! Choose an agency that has positive online reviews, offers safe and fast services and excellent customer support. Step 3: Last, determine whether you want to get your new passport online with the help of The Passport Office, or at one of their convenient locations. The Passport Office has offices located across the U.S. in San Francisco, Miami, Orlando, Tampa, Atlanta, Los Angeles, Seattle, and Houston. To schedule an appointment for new passport services, expedited or renewal services, contact the Passport Office today. The Passport Office has assisted the American traveling public with their passport needs for years. If you are within the United States and need a new passport, let The Passport Office team help you navigate the process securely. To get started, apply for a new passport online or contact our team to set up an appointment today. Paris, France. A city of beauty, art, music, and cuisine. Paris has been around for years and has cemented itself as the number one tourist spot in the world, and will probably hold that title for years to come… It’s nice, yeah, but it isn’t going anywhere anytime soon. So what about all of those niche travel spots that might not be around in the future? They say that the polar bears will go extinct soon so may as well catch a glimpse so you can brag to the grandkids someday. Today we’ll be looking at some places that you can currently go to today but may not be able to in the future. We’ll also be going over how to attain a new passport or passport renewal at the end, so if you’re in need stick with us until the end! 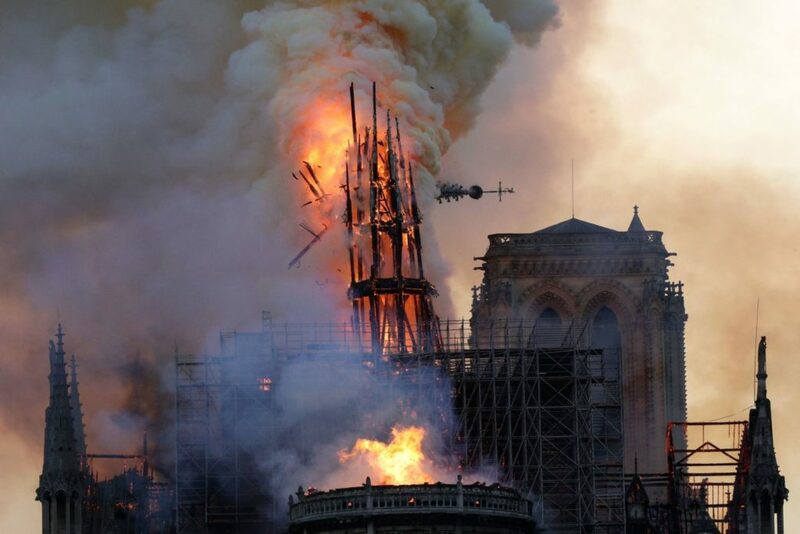 On April 15th the Notre-Dame Cathedral caught fire while undergoing various restoration projects. The fire was linked to the restoration attempts and as I write this the fires rage on. The verdict is yet to be out on whether the Cathedral will remain open following this disaster, or whether the monument will even survive. If you are currently in Paris I’d urge you to catch a glimpse of this architectural marvel on the off chance that things go south during future restoration attempts. Komodo Island is known for its large acid breathing lizards. No, not Godzilla, but the native komodo dragon. Unfortunately a few folks who like potentially deadly overgrown lizards decided they should smuggle a few off the island which has ignited a bit of a crisis in Indonesia which administers Komodo Island. 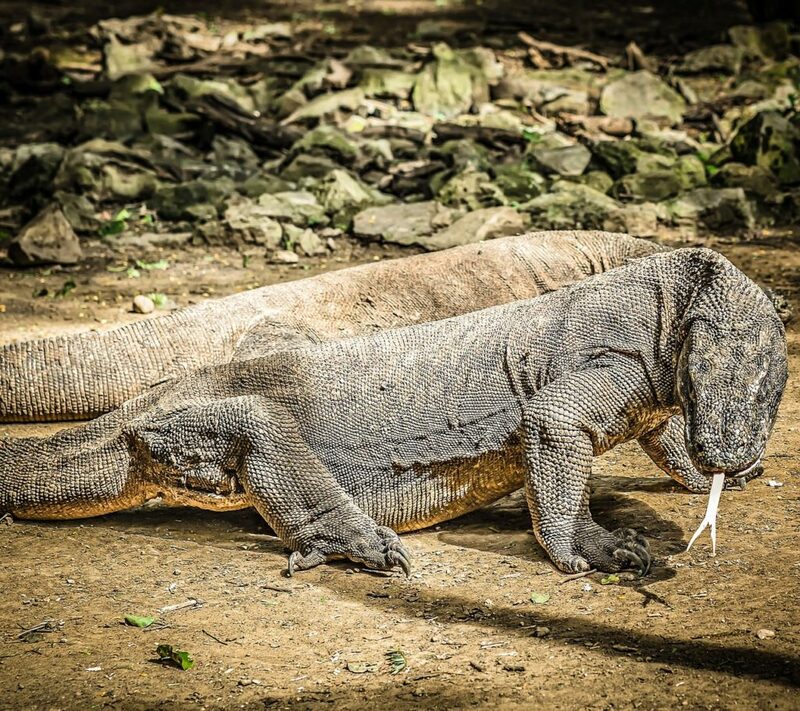 The government of Indonesia has decided to place a temporary ban on entrance into Komodo Island beginning in 2020 while they implement measures to help preserve the endangered Komodo Dragon. Unfortunately for those of us who like to travel, this means we won’t be able to engage with one of Indonesia’s hottest tourist spots come next year. Fortunately for those reading this in 2019, you still have a few months to book a trip and get over there before the island is indefinitely closed to the public. Should you make the trip this year you’ll be pleasantly surprised by the amount of ways you can approach the island. If you’d like to get more intimate with the island there are several Indonesian based tour companies that will take you to explore the entire island chain. That’s right it’s more than one island, three to be exact. These tours will take you through walking tours of the islands’ native flora and fauna, chances are you’ll even get with in walking distance of a komodo dragon. If walking isn’t your thing the islands are also a great place to dive, and most tours include this in the package. For those who just want a glimpse before moving on, a few cruise lines including Viking Cruises take a route which begins in Australia and has a day long stop on Komodo island for sightseeing. No fluff here, ocean pollution is a problem. Our ever rising population has led to record high levels of consumption which produces a load of pollution. Coral, those colorful rocks which dot reefs, are actually animals and not plants like some may think. Coral is more sensitive than a middle schooler who didn’t get asked to the dance, even touching coral can cause it’s structure to break down due to the natural acidity of the human body. With this in mind, the ever changing climate and acidity level of the ocean coupled with the trash collected in our oceans has led to massive coral die offs the world over. 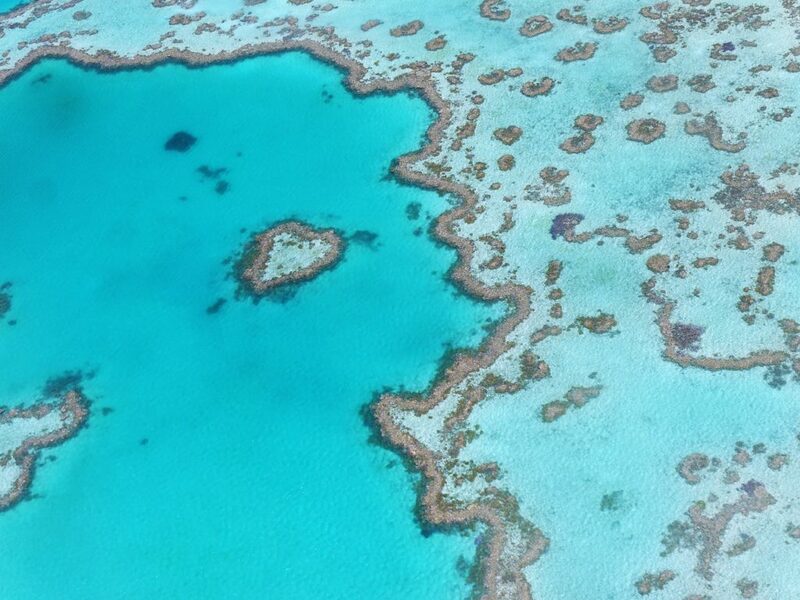 This includes one of the most iconic reefs in the world, The Great Barrier Reef. In fact, over half of the reef has been reported to have died since as 2016. For those who aren’t familiar with the death of natural ecosystems; that’s fast. Unfortunately coral reefs take decades to form as the hard coral we think of is actually build up of the dead animal organism that actually is the coral. So, what’s a traveler to do with a rapidly dying ecosystem on the verge of collapse? Typically if you want to see the Great Barrier Reef you begin your journey in Australia which officially administers the reef. From there you’ll most likely have to join one of the many tours that visit the reef every year. Since the reef has been such a money maker for travel agencies over the years a litany of companies offer tours for everyone’s budget. Make sure you have your passport before booking your trip, as you’ll need it to enter Australia. If you have a passport but it’s running low on pages or is expiring soon, consider applying for a passport renewal. Regardless, once you do make it to the reef you’ll probably be looking at it in one of two ways. If you enjoy snorkeling/scuba, many tours will gladly provide you with diving gear to get intimate with the reef’s inhabitants. Be warned, the reef’s inhabitants include a few species of sharks, so if you watched Jaws as a child and are still scarred perhaps our next option is more your speed. For those who suffer from acute aquaphobia, you still have the option of viewing the reef from a glass bottom boat. These boats are exactly what they sound like, boats with a transparent glass bottom that allow it’s riders to look down and enjoy the sights of the reef without any close encounters with hammerheads. Either way, head to The Great Barrier reef before all of the once vibrant coral turns a bleached white. Italy itself is known for being a large tourist destination with a wide range of cities, From Rome to Venice– Oh yeah, Venice might not be around in the future. This is also linked to human pollution, and more importantly, climate change. With the increasing climate comes rising sea levels. 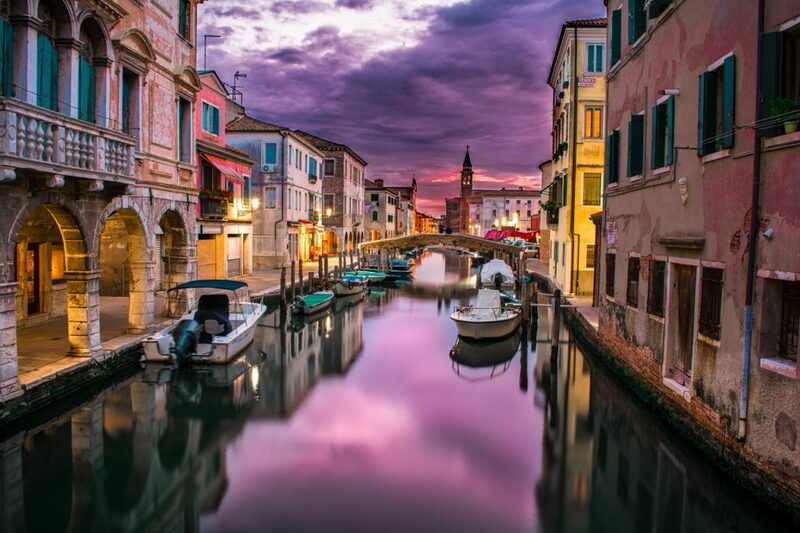 For those of you unfamiliar with the Italian city of Venice, the locale is known for the canals that criss-cross through the city. The waterways make travel by boat in the city viable, and for many it’s actually the preferred mode of transport through the city as the entire city is actually located on a series of small islands which are connected by a series of bridges. Naturally, the combination of it’s scenic waterways and being in Italy has made Venice a popular tourist spot. With the rising sea levels however, it’s likely that soon travel by boat will be the only method of travel in the future as the sea may soon overtake pedestrian walkways. Climate change may not be the only culprit however, some researchers site shifting tectonic plates as one of the reasons the lagoon may soon disappear. This makes the issue plaguing venice a combination problem; the island itself is sinking while the sea around it is rising. If the local government doesn’t begin to look into solutions the entire city is slated to be underwater by the year 2100. However if things are heading that way in the near future it’s entirely possible that the city is instead evacuated rather than an actual fix being implemented. With all of that taken into consideration, it may be a good idea to head over sooner rather than later. Trust me, a gondolier ride through the thriving city of Venice is a lot more romantic than a gondolier ride through the half sunken remains of Venice. Now, some of these aren’t islands but rather a series of islands called an archipelago. 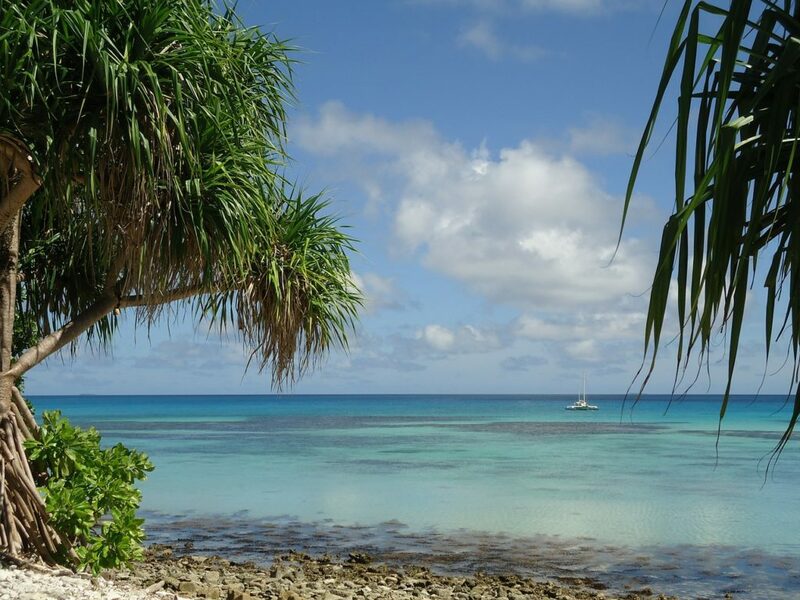 Fiji, for example, is an archipelago that contains about 330 islands. Some, like Tuvalu are comprised of as few as 9 islands, all of which are slated to disappear within the next few decades. Those of you out there with particularly sensitive FOMO senses may feel a bit tingly right now. Worry not, even though Tuvalu is a prime candidate to join the “hello I’m underwater” club there is also some evidence to show that it’s growing as fast as it’s sinking which may save it if climate change efforts around the world strengthen within the coming years. Don’t think you can rest peacefully with the knowledge that these islands will most definitely exist in the coming decades. So far Tuvalu appears to be the only island outgrowing the threat of rising sea levels. If you haven’t visited any of the locations listed above consider an island hopping adventure to cross off as many as possible in a single go, you don’t have much time after all. Like with most forms of international travel you’ll need an active passport. If you don’t have a passport you’ll have to apply for a new passport. If you currently have a passport but lack the pages to visit all the islands on this list consider you can apply for a passport renewal. Now we get to talk about polar bears! All water contributing to rising sea levels has to come from somewhere, and the arctic circle is one of those places. Rising temperature means the ice that usually sits quite comfortably up at the north pole is melting at alarming rates. Currently NASA is claiming that arctic ice is decreasing by an alarming 13% a decade. This has several unfortunate consequences in The Arctic Circle. For example, unlike its sister pole in the south, The Arctic Circle doesn’t sit on any land. For example, let’s say that all the ice in Antarctica melts… Well, for one, everyone living on an island is probably screwed. HOWEVER, the good news is that under all that ice is a solid piece of land, so species like the penguin may not go completely extinct should a mass melting happen simply because they’ll have somewhere to be. Polar bears may not be so lucky. Under the massive ice sheets of the north pole is… Nothing but ocean. While some land masses like Greenland and some of Canada’s northern territories extend into The Arctic Circle, they don’t make up a large part of the Polar Bear’s habitat. In other words, once all the ice up north melts the polar bears will either go extinct or be forced to move further south. Unlike their more common relatives like the black bear, polar bears are massive, about two to three times more massive than a black bear. So while the black bear has thrived in human inhabited areas due to it’s relatively small and non-threatening stature as well as its ability to scavenge, it’s unlikely the much more aggressive polar bear will be met with much acceptance if it’s forced to enter human cities to find food. As far as visiting The Arctic Circle goes you’ll probably be heading there via boat or cruise ship. 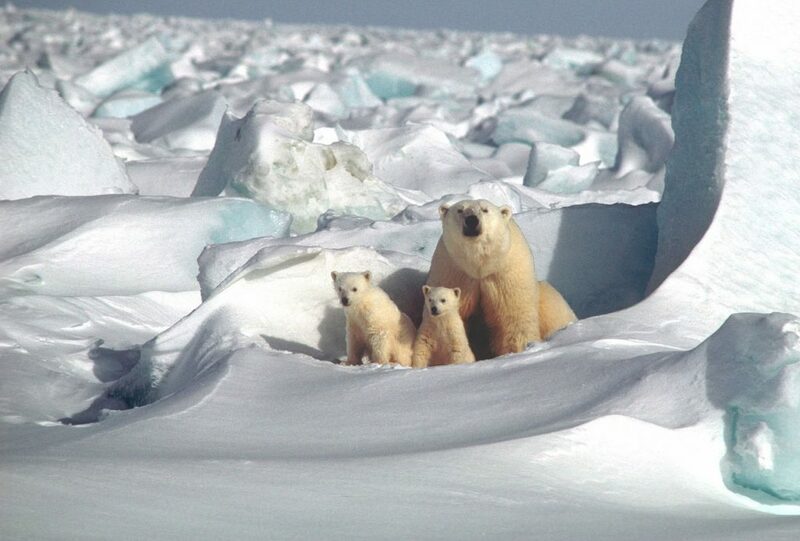 Cruises typically include excursions such as polar bear and whale watching. Naturally there are no airports located in The Arctic Circle because it’s mostly ice, hardly anyone lives there, and hardly any able bodied tourist wants to go there. There are some fly over tours that begin in Alaska and then head north to give passengers an aerial view of The Arctic Circle. Unfortunately no matter how you approach an arctic tour it’s going to cost you in the thousands, so maybe skip this spot and catch a polar bear in the zoo if that’s out of the realm of possibility for you. That’s All! But What If You Still Need A Passport? That’s all folks! I hope you enjoyed the read. Perhaps you noticed that all locations listed are outside the USA, this doesn’t exclude the USA from losing land to the sea however, in fact everyone’s favorite state Florida may lose a large portion of land to the sea in the future. However, if you’ve been to Florida and want to explore outside of the country you’ll need a passport! Lucky for you we’ve been helping travel lovers acquire passports for years, click here and check out our website for more info. Whether it be new passport, passport renewal, or replacing a lost/stolen passport, we’ve got you covered. When planning an upcoming trip, chances are you have researched the hotel, necessary flights, and travel activities. Have you checked to see if your passport is up to date? If it is time to renew your passport, that could mean a new passport photo, too. Most adult’s passport photos are valid for ten years, however, there are some exceptions to this rule. 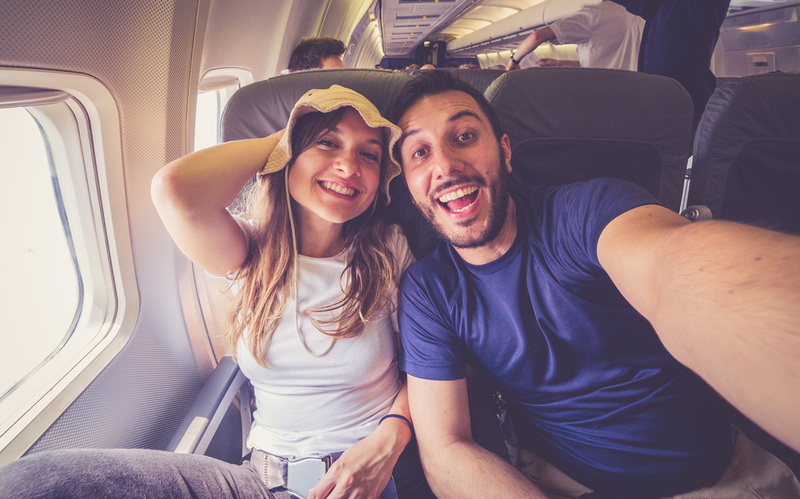 To ensure your passport is ready to go for your next international getaway, find out when you need a new passport photo, as well as eight passport photo do’s and don’ts. Let’s dive in! When Do You Need a New Passport Photo? A significant change in your appearance due to extensive plastic surgery, severe facial trauma or facial deformities. A large amount of weight loss. If serious weight loss has affected the appearance of someone’s face or facial structure, they may need to take a new passport photo. A gender transition. If an individual has changed their gender from male to female or vice versa which has led to a significant change in their appearance, a new photo is mandatory. The addition or removal of extensive facial tattoos. Additional tattoos on a person’s face or the removal of significant facial tattoos often requires a new passport photo. If you are unsure if the changes to your appearance constitute a new passport photo, contact the Department of State for further clarification. Next, let’s explore eight common passport photo do’s and don’ts to prepare for your next passport photo session. One of the biggest reasons a new passport photo is not accepted is because the photo is not clear. Be sure the photo is in focus, not grainy and is in color. Additionally, check that you are not too far away in the photo and that all of your facial features are seen clearly. Specifically, the bottom of your chin to the top of the head should be between 1 -1 3/8 inches. Another common mistake when it comes to new passport photos is ensuring the picture features adequate lighting. Passport photos cannot include shadows, particularly over a person’s face or head. Furthermore, the picture should not be overexposed, discolored or too bright. Red eyes should also be avoided. Although it may seem obvious, your eyes need to be fully open in your passport photo. For the best results, focus on the person’s nose who is taking your passport photo. This will ensure your eyes are not tilted too far up or down. Unfortunately, if you blink and your eyes close during your photo, you will need to retake it. Additionally, both of your eyes need to be included in your photo, meaning side profile photos are not accepted. Passport photos require that your face is not covered by hats, hair or eyeglasses. As of 2016, eyeglasses can no longer be worn in U.S. passport photos. According to the U.S. State Department, if you are unable to remove your glasses temporarily due to medical reasons, you will need to include a signed note from your doctor with your passport application. Additionally, jewelry that hides your face as well as headphones and other electronic devices are prohibited in passport photos. When submitting a new passport photo, be sure it is the correct dimensions. Photos should be 2 x 2 inches. The picture should be printed on a matte or slightly glossy paper. Ensure that your photo does not have any holes, significant creases or smudges on it, as well. These factors may result in your passport photo being denied. Unfortunately, selfies are not allowed when it comes to passport photos. It is required that someone else take your photo for you, or you use a tripod and a photo timer. In terms of your facial expression, your face should appear neutral or with a slight smile. As a rule, you should not smile with your teeth in your passport photo. Additionally, you want to ensure your head is centered in the picture frame and not tilted. Although it is tempting to dress up for your new passport photo, your picture should be taken in your everyday, normal clothing. Uniforms, as well as clothing that resembles a uniform, are not acceptable. Additionally, clothing featuring a camouflage pattern are also prohibited. To ensure you are following the passport photo rules, stick to basic clothing items such as jeans and a t-shirt. The passport photo requirements for children and babies differ slightly than the requirements for adults. In an infant’s photo, it’s acceptable if their eyes are not fully open or looking straight forward. However, toddlers and older children are expected to be in the center of the photo, with their eyes facing forward and open. In order to take a passport photo for an infant, the U.S. State Department suggests laying the baby on his or her back on a plain white or off-white sheet. If possible, ensure there are no shadows across the baby’s head or face when taking the photo. For additional help, visit the U.S. State Department’s website to see example photos for a child’s passport. Let The Passport Office help you prepare for your next international trip. If you are in need of expedited passport services, passport renewal, a child’s passport or other passport help, look no further. Our team has over 20 years’ experience in the passport industry and offers fast and secure delivery. To get started, explore our eight office locations across the U.S., or get started online. We look forward to assisting you with your passport needs. Planning your next vacation? Go on an adventure and travel internationally. There are tons of incredible travel destinations outside of the U.S. that are ideal for exploring with your entire family. Whether you are interested in an action-packed trip full of outdoor activities, or prefer a vacation with more relaxing sightseeing, there is an international travel spot that is perfect for every family. To get started, check out our helpful tips when booking a family friendly trip. Then, discover seven amazing international travel destinations that are perfect for your family’s next getaway. Start packing today and do not forget to include their child passport. Before we begin, let’s review a few key tips for traveling abroad with children. Booking an international getaway with your entire family has incredible benefits, like allowing your children to experience new cultures and cuisine. However, it also requires a bit more planning than traveling with other adults. First and foremost, be sure your children have a current child passport at least six months prior to your trip. In the U.S., a child passport is required for all international travel for children under 16. Consider using a passport services agency to ensure you filed the correct forms and accurately submitted all documents for the child passport process. 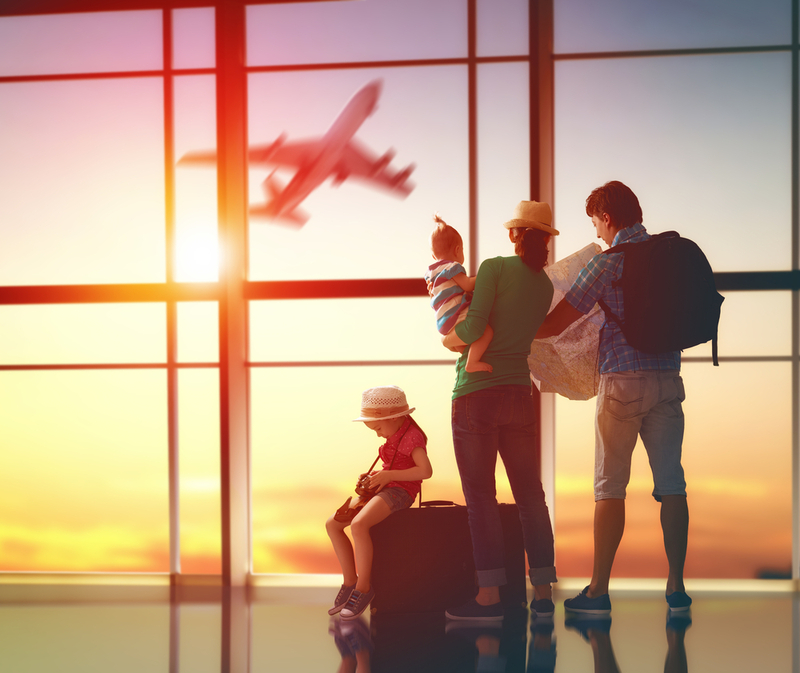 Ensure your children have all the necessary immunizations for international travel. Visit a travel clinic or your child’s primary care doctor approximately 3-6 months before your trip to ensure they have their required vaccinations in enough time. Leave yourself ample time to get from one destination to the next during your travels. It is a good idea to assume that it will take longer to get everyone out of the house in the morning when you’re traveling with your children. Additionally, the flight check in process at the airport may take longer as well. Consider padding each leg of your trip with extra time to avoid being stressed or late the day of your trip. Remember, if you need help applying for a new child passport, or renewing passports, The Passport Office can help. London, England offers something fun for the entire family. If your family is a fan of Harry Potter, you are in luck! Stop and get a photo at Platform 9¾ in Kings Cross station or consider traveling to the Harry Potter studio just outside of London. There are family friendly activities in London such as touring the Tower of London to immerse yourself in English history or visiting the famed Shakespeare Globe Theatre. For additional fun, take a ride on the London Eye for a view of the entire city, or walk the cobble streets of Fournier Street in London’s Spitalfields neighborhood to see beautiful historic houses. If you are interested in exploring Canada, visiting Montreal is a must! If you are located in the northern United States, traveling across the border by car allows you to avoid renting a car once you arrive. If you opt to drive instead of flying, each family member will still need their adult and child passport handy. To discover the city’s rich history, stop in to the Pointe-à-Callière museum. Next, head to Mont-Royal, the mountain in the city’s center. There, you and your family will have the opportunity to hike, bike or even paddle board on the nearby lake. If outdoor adventure is your style, consider visiting Montreal during wintertime to explore the Hôtel de Glace which is an entire hotel made of ice and incredible ice sculptures. A visit to Montreal during colder weather also means your family will be able to take advantage of the many ice-skating rinks throughout the city, including Patinoire du Bassin Bonsecours in Old Montreal. Looking for warmer weather? If so, Sydney, Australia is a fantastic tourist destination for your family. Spend a day at one of the many beaches, including Coogee Beach or Shelly Beach, soaking up the sun and admiring the gorgeous ocean views. 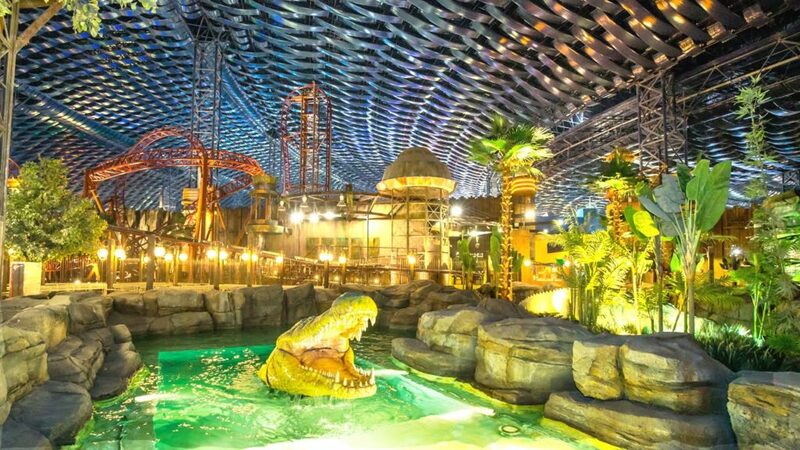 If marine fun is of interest to your family, a visit to the city’s impressive aquarium is also a wonderful idea. Other fun places to explore include the Royal Botanic Gardens and the Taronga Zoo. Last, the historic Sydney Opera House offers kid-friendly entertainment with shows frequently geared towards children of all ages. Barcelona is a beautiful travel destination with lots of options for your entire family to explore. Get a closer look at Gaudi’s artwork by planning a visit to Park Güell or wow your kids with an exciting ride in the city’s cable cars in Montjüic. If your family is a fan of soccer, you will want to check out the Camp Nou stadium, which is the largest stadium in all of Europe and the third largest in the world. For more fun, the city’s L’Aquarium Barcelona boats the largest sea tunnel in Europe, and the Tibidabo Amusement Park offers rollercoasters and other rides for all ages. Barcelona’s close proximity to France also allows you to take a quick trip to the French country while you are there; just be sure to keep your adult and child passports handy during your travels, in case you opt to explore additional countries. Bali, Indonesia has become one of the hottest tourist destinations over the past several years, for good reason. From its picture-perfect beaches to the year-round warm weather, Bali is an inexpensive travel destination with tons to explore. You can opt for a hotel with a stunning beach view, or a private pool that overlooks the local rice fields. Most hotels in Bali offer help planning tourist activities, such as walking trail adventures, ceramics classes or even fish feeding excursions. If your family includes animal lovers, be sure to make a stop at the Mandala Suci Wenara Wana ‘Monkey Forrest,’ which is a protected sanctuary for the adorable animals. Beach vacation, anyone? If spending your vacation snorkeling, walking the beach and catching sunrays sounds like your kind of fun, consider a trip to the Cayman Islands. The largest island in the Caymans is the Grand Cayman Island. This is the most popular island and features sandy beaches that are hot tourist destinations, such as Cemetery Beach and the famous Seven Mile Beach. The teenagers in your family can enjoy some of the best scuba diving spots in the world, and the younger children will love the opportunity to swim with the island’s giant turtles. If you grow tired of time at the beach, stop into the island’s museum or take a pirate cruise! In addition to beautiful family picture opportunities at the Eiffel Tower, Paris also offers more fun activities for the entire family. Consider touring the Arc de Triomphe or the Catacombs located underneath the city for a look at Paris’ incredible architecture. If the weather is nice plan to explore the Luxembourg Gardens, where musical performances and theater shows are often happening. 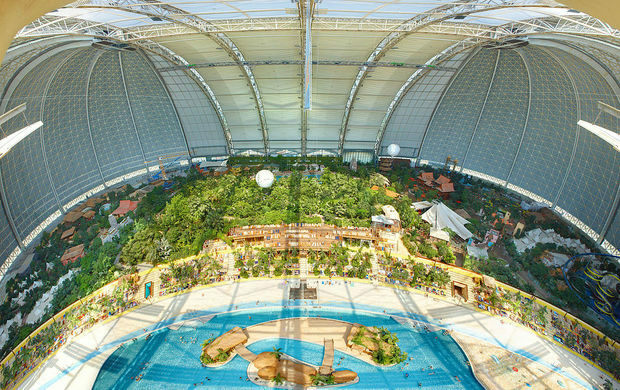 If your kids are craving more adventure, by Disneyland Paris where they can burn off some major energy on amusement rides. If you are feeling extra adventurous, consider taking a quick flight to Belgium or Switzerland while you’re in Paris. Take full advantage of your child passport’s during your vacation as they are only valid for five years at a time. Traveling internationally with your family is exciting but comes with its own set of challenges to consider. Preparing for a trip can be overwhelming but the passport process does not have to be. Do not let applying for a child passport discourage you from booking a memorable vacation. For years, The Passport Office helps American families with their passport needs. If you are planning an upcoming family trip and need assistance applying for or renewing a child passport, we seamlessly navigate the process. Begin the process for a child passport online or schedule an appointment at one of our convenient office locations instead. Graduating from college is an exciting time in a persons’ life. Entering the ‘real world’ can be daunting, so it might be a good idea to explore your options. You have your whole life to work. Ultimately, there is no better time to travel abroad than post-graduation. First, it is important to ensure you are fully prepared. To start, consider why exploring expediaed passport services is a smart idea. For example, using a passport agency to help with the process means one less element of your trip you need to worry about. Plus, applying for a new passport and navigating the renewal process can be a bit confusing on your own. 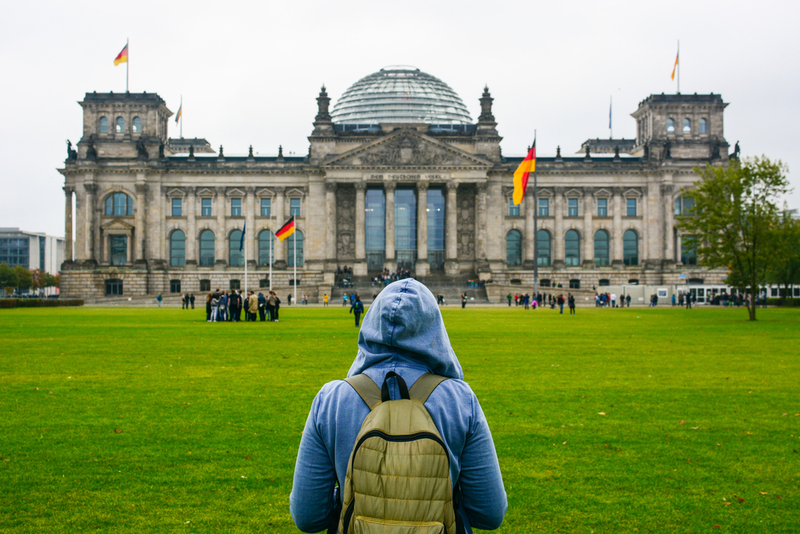 Discover three compelling reasons why traveling abroad after graduation is a great plan. From gaining unique networking opportunities to learning how to travel on a budget, you will be packing your bags and booking flights in no time! First, is Your Passport Ready to Go? There are several elements to planning a trip abroad. Purchasing the flights and hotel stays are only half of it. Leave the passport expediting to the experts and focus on the fun for your trip. Expedited passport services offered at an agency such as The Passport Office walks you through each step. We help you accurately fill out all the required documentation. Our expedited passport services are available online and at each location. To start, book an appointment through our site. 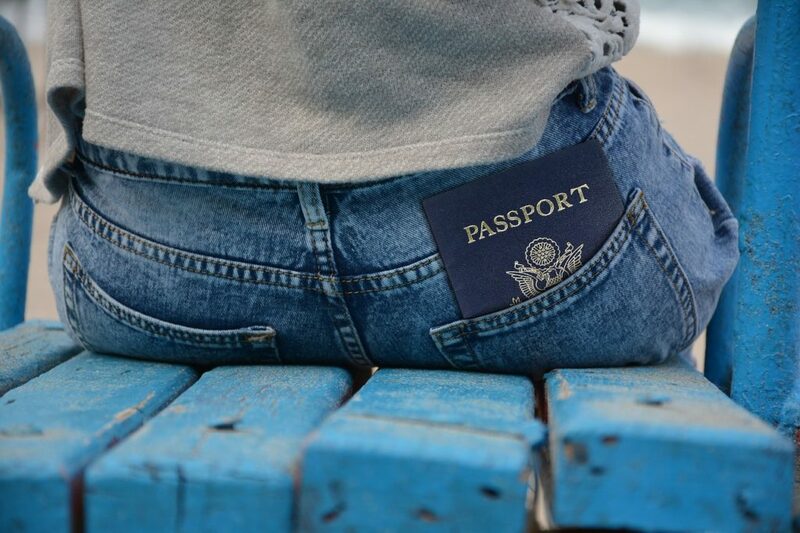 If you want to travel immediately after graduation, you may need an expedited passport. Processing options include standard service, rush service, priority service, emergency and same day services. Our experienced customer support team makes sure your passport is in your hands prior to the trip. Let’s dive into a few compelling reasons why traveling abroad after college graduation is a great decision. 1. You likely do not have a spouse or children yet and are able to only think about your own desires. 2. You probably are not paying for a mortgage at this point or have a significant amount of monthly payments. 3. Oftentimes, your student loans (if you have any) have a grace period of at least 6-12 months, giving you time before those reoccurring monthly payments set in. Once you graduate college, you have the freedom to explore the real world. Freedom in both your schedule and in the fact that you don’t have to answer to anyone else just yet. Take the time now to enjoy yourself. Want to give back and experience a new culture? Consider volunteering while you are abroad. Volunteering is a unique way to see the world. If you choose to travel abroad after graduation, there is a great chance you can on a budget. When traveling, use your college ID which offers discounts. When booking your trip, always be sure to inquire about student rates or perks! If you are traveling on a budget, we recommend staying in hotels or room-share locations. These options offer great ways to save money abroad. If you need to start making money immediately after you graduate, there are ways to travel and do that at the same time. Consider applying for jobs in a foreign country, that leave you enough time to explore the new area you are in. For example, teaching English abroad. You will have time to explore after classes each day, on weekends and during school breaks. Be sure to review all of the required paperwork and procedures related to a travel Visa and getting an expedited passport by consulting with a professional passport agency prior to your trip. One of the biggest benefits of traveling is being exposed to different types of people, personalities and cultures. 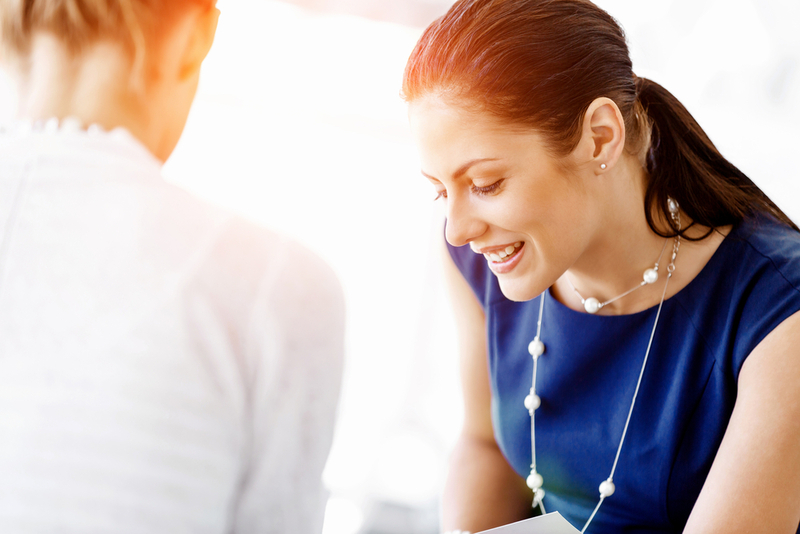 All these experiences help prepare you for a successful career. When you take a job, navigating a relationship with your new coworkers can be among the most challenging parts. Consider your travels abroad as a great way to prepare for meeting tons of new coworkers at your first fulltime job. Traveling internationally requires patience, kindness and adaptation. The same goes for starting a career. Try researching a few networking opportunities when you are traveling abroad. For example, local meetups for people in the industry you are trying to enter, or events and conferences. Another great idea is to research internship opportunities abroad. This will not only help you learn the industry and gain real-life experience, it will also look great on your resume when you go to apply for jobs back home. Although graduating college is an exciting time, it can also be overwhelming. Before you dive right into getting a fulltime job, consider taking time to travel abroad first. Whether you are looking to enjoy your freedom before the ‘real world’ sets in, or you want to get some unique job experience on your resume, traveling might be the answer. Before you pack your bags, be sure you have your passport all set and ready to go. Don’t let the expediated passport process discourage you from booking an incredible travel experience, post-graduation. The Passport Office is here to help. We offer customers expediated passport services in their offices located across the U.S., as well as online. The Passport Office has been helping American families seamlessly navigate the passport process for years. Begin the process for a new passport online or schedule an appointment at one of our convenient locations. 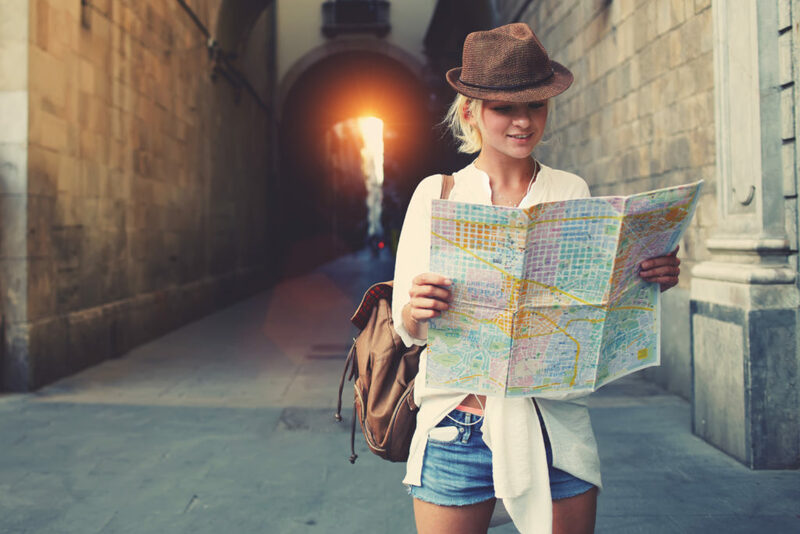 Whether you are new to traveling internationally, or you are a seasoned traveler, sometimes the passport process can be a bit confusing to figure out. Trying to determine which forms you need to print and fill out on the government’s website can feel like an IQ test of some sort. Thankfully, there are options that offer convenient, stress-free services for things like applying for a new passport, expedited passport services and passport renewals. So, what exactly does passport expediting involve? And can you get passport help in person or just online? Furthermore, how quickly are you able to get a new passport and what happens if you need a child’s passport? We have gathered the top ten most commonly asked questions about passports to help you navigate the passport process more efficiently. Whether you are curious if passport services are offered by the government, or you need more information about expedited passport services and getting your passport quickly, we are here to help. Let’s get started! #1. What are Expedited Passport Services? Expedited passport services are offered by passport companies for the purpose of taking stress out of the passport process. Customer service representatives walk a customer through each step of getting their new passport, assisting with lost or stolen passports or with applying for a child’s passport. They ensure that you have all of the required documentation and necessary paperwork filled out and completed accurately. Passport expediting services are offered both online and in person. The Passport Office also offers the option of walk-in appointments, or the ability to schedule an appointment ahead of time, for a customer’s convenience. #2. What is the Process for Expediting a Passport? To begin with expedited passport services, first decide if you want to complete the process online or in-person. If you decide to book an in-person appointment, a customer support representative will assist you by letting you know what information you need for your application. They will also type all of your information for you during your appointment, to further expedite the process. If you opt for online expedited passport services, the application process takes just three simple steps. Each step is easy to understand with the required sections of information outlined clearly. Get started today by booking an appointment for in-person assistance or going through the process online. #3. 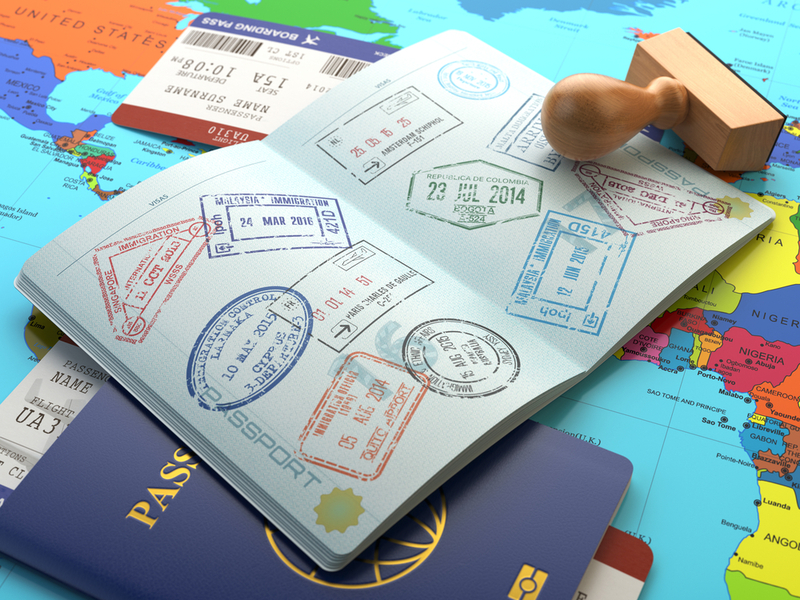 What are the Benefits of Using a Passport Expediting Company? There are several benefits to using an expedited passport service. In a nutshell, these services take the stress out of trying to figure out the passport process on your own. This can be a huge relief if you are trying to get your passport quickly, you are dealing with a lost passport or you have never traveled internationally and need a place to start. 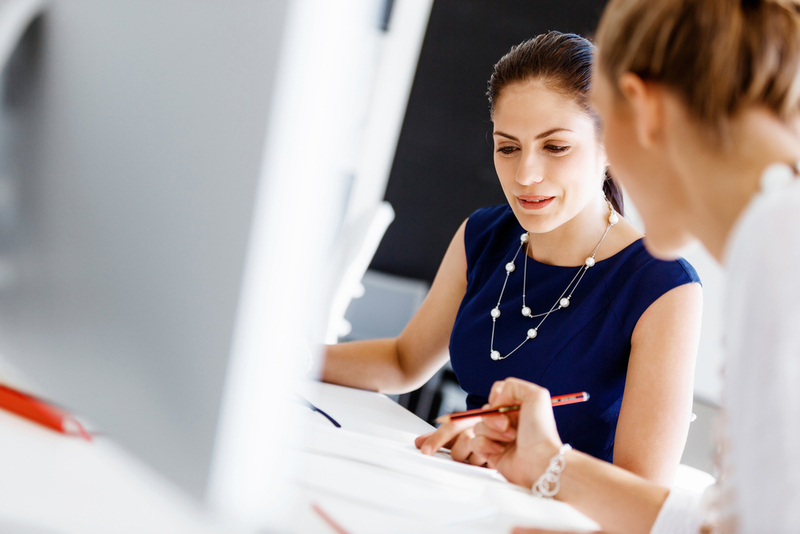 The biggest benefits to working with a team such as The Passport Office, include a super-fast turnaround, the option for same-day services, secure delivery of documents and an expert level of care. #4. Where Can You Get Your Passport Expedited in Person? The Passport Office has several locations across the United States for our customers convenience. Our offices are in San Francisco, Miami, Orlando, Tampa, Atlanta, Los Angeles, Seattle and Houston. If you are in the busy areas of Tampa or Orlando, our offices can save you an incredible amount of time. The nearest government passport processing facility to these locations is in Miami, which is 4 hours away from you. Additionally, our location in Los Angeles offers tourists the passport help they need, without waiting at the local government’s processing center for hours. If you are interested in passport help, find our offices near you. #5. Are Passport Expediting Services Offered Through the Government? It is important to understand the organizations offering expedited passport services are not a branch of the government or affiliated with the government in any way. These businesses, such as The Passport Office, are licensed to submit passport applications on behalf of the customer. If you have any questions about this, please do not hesitate to call our team. #6. How Quickly Can You Get Your Passport Expedited? At The Passport Office, we allow customers to choose how quickly they need their passport. Options include standard service, rush service, priority service, emergency service and same day services. It is great peace-of-mind knowing a team of customer support professionals works with you to ensure your passport is in your hands prior to the trip. #7. What Should You Look for in a Passport Expediting Company? When it comes to selecting a company to assist you with expedited passport services, it is important to choose the right one. The Passport Office has been helping people with expedited passport services, passport renewal, child’s passports and more for over 20 years. Our experienced team prides itself on offering the highest level of customer service in the industry, with a major focus on professionalism. This is evident in their more than 445 online reviews, which are overwhelmingly positive. #8. Can You Receive a Lost or Stolen Passport Renewal Quickly? If you are within the United States and need a replacement passport, The Passport Office can help. Our experienced professionals specialize in walking people through dealing with a lost or stolen passport situation. In a few easy steps, we will have the correct paperwork filed and your documents prepared for processing. We understand that this can be a stressful process. Begin the process online today, or contact us to schedule an appointment at one of our locations across the United States. #9. What If I Need a Child Passport for My Child? A minor under 16 is required to have both legal guardians with them when they apply for a passport. A child’s passport last for 5 years, whereas an adult’s lasts for 10 years. The child will need to provide a birth certificate that demonstrates their citizenship and their parent’s identities, in order to apply for a passport. Similar to when an adult applies for a passport, the child is required to have a current photo for their passport. You can provide a photograph or have one taken. Additionally, the proper child passport application form will need to be accurately filled out. #10. How Do I Renew My Passport? If you are looking to renew your passport in a hurry, we suggest using a passport office to assist with expedited passport services. This ensures you complete all the necessary paperwork, have not forgotten anything and your application has been securely submitted and processed. Otherwise, you can download the DS-82 form and complete the process via mail. To do so, you will need to accurately complete the form and send your current passport, two recent passport photos, payment and proof of name change if applicable to the applicant provided on the application. The renewal process typically takes anywhere between four to six weeks. You can request expedited passport services to speed up the process to approximately 2-3 weeks but this speed is not guaranteed. Be sure to write the word “EXPEDITE” in large letters on the outside of the envelope and use an overnight delivery service if you choose to do this. The Passport Office has assisted the American traveling public with their passport needs for years. If you are within the United States and need an expedited passport, let The Passport Office team help you navigate the process securely. To get started, apply for an expedited passport online or contact our team to set up an appointment today. Oftentimes, one of the most stressful parts of planning a trip is navigating the passport process. Having to renew an existing passport or apply for a new one can be a confusing process to figure out. If you’re unsure of which documents you need, or where to go for your passport services, it can also be super time-consuming as well. Furthermore, if you’re in need of expedited passport services, the process is even more stressful as you’re looking to get your passport figured out as soon as you can. The good news is that regardless of whether you’re looking to apply for a brand-new passport, or you need yours renewed as quickly as possible, there are companies who offer expedited passport services that are available to help you. Today, we’re exploring what exactly passport expediting services are, how the process works, the benefits of using a reputable company such as The Passport Office and more. If you’ve been curious about whether or not passport expediting services make sense for you and your family, you’ll want to take a read. What are Expedited Passport Services? Expedited passport services take the stress out of the process by walking an individual through the steps of getting their passport, and ensuring they have all of the required documentation and necessary paperwork completed accurately. These services are offered both online and in person, for a customer’s convenience. Companies such as The Passport Office also offer the option of walk-in appointments or the ability to schedule an appointment ahead of time. During the expediting process, you’re able to choose how quickly you need your passport. Options include standard service, rush service, priority service, emergency and same day services. Having a team of customer support professionals work with you to ensure your passport is in your hands before your trip is incredibly helpful. Additionally, it’s important to understand which organizations offer expedited passport services. Companies who offer passport expediting services are not a branch of the government, or affiliated with the government in any way. These businesses, such as The Passport Office, are licensed to submit passport applications on behalf of the customer. What is the Process for Expediting a Passport? As we previously mentioned, certain companies allow you to expediate your passport online or during an in-person appointment. The Passport Office offers customers both of these options for their convenience. Their offices are located across the U.S. in San Francisco, Miami, Orlando, Tampa, Atlanta, Los Angeles, Seattle and Houston. Once you’ve determined whether you want to begin expedited passport services online or in-person, the process is incredibly simple. Unlike when you attempt to navigate the passport process on your own, every step is clearly outlined for you, so you’re never confused about what to do or when. In-person, a customer support representative will type of all of your information for you, to further expedite the process. Online, the application process is broken out into small, easily understandable sections that are clearly labeled. No confusing forms to try to understand and no complicated language. To schedule an appointment for a new passport, contact our team today. Otherwise, you can get started at any time online. What are the Benefits of Using The Passport Office? The Passport Office has been helping people with expedited passport services, passport renewal, child’s passports and more for over 20 years. Their experienced team prides itself on offering the highest level of customer service in the industry, with a major focus on professionalism. This is evident in their more than 445 online reviews, which are overwhelmingly positive. Incredibly fast turnaround, with same day services available. Secure delivery of documents and an expert level of care with sensitive information. Kind and attentive customer support professionals. Do they offer the option of speaking to someone in-person or only an online application process? Are there multiple office locations to choose from for your convenience? How easy are the forms to navigate for the online application process? Do you understand what is required of you? If you’re located in the Tampa or Orlando areas, you’re in luck. As you may already be aware, unfortunately, the nearest government passport processing facility is in Miami, which is 4 hours away from you. This is where The Passport Office is able to make your passport process remarkably convenient and much less stressful. Having the ability to apply for your passport online or at one of our locations in Orlando or Tampa can save you hours of your time. The Passport Office offers customers walk-in appointments as well, whereas the government passport office requires an appointment that can take a week or two to get. Our goal is to ensure the passport process is as seamless, convenient and stress-free as possible for you. Wouldn’t it be nice to be able to focus on your upcoming trip, rather than how you’re going to deal with the complicated details of the passport process? We think so. Learn more about our Tampa and Orlando locations today, or explore all of our offices across the United States online. Expedited passport services don’t have to be an overwhelming process, or a part of the pre-trip preparation that you need to fret about. Rather than trying to figure out which documents you need, which government location you’re supposed to go to, and how much time the process might take, let the passport professionals help you instead. The Passport Office is a passport expediting service that provides timely services to the American traveling public. If you’re within the United States and need an expedited passport, turn to The Passport Office team. Whether you prefer to go through the process online, step by step, or you would like to meet with someone in-person, we can help. You’ll be amazed by how easy and quick the process is. To get started, apply for an expedited passport online, or contact our team to set up an appointment today.